NFL Shifts focus beyond Urea. CMD's interview on NDTV Profit on 9th June 2016. 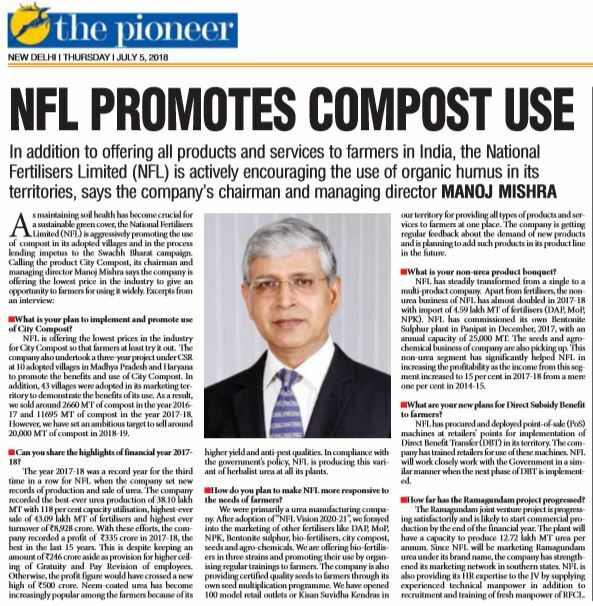 "NFL was First to Manufacture Neem-Coated Urea"-CMD's interview with Mail today.